"Everything she touches turns to sold!" Homes for sale Peoria, AZ - Let Marie Shafer, a Peoria, Arizona Real Estate Expert help you today! Are you looking to buy or sell a home in the Peoria, AZ area? While looking for homes for sale in Peoria, AZ there are many things to consider. Marie can help with information such as the price and the HOA costs. In addition, she will help you find the right neighborhood with the convenience to highways, schools, and shops. Many communities have homes for sale Peoria, AZ that all have different looks, styles and amenities. Many of these neighborhoods have community parks, walking and biking trails and green belts in addition to neighborhood schools. These neighborhoods are served mostly by the highly rated Deer Valley Unified School District and as a result they are family friendly. When looking for homes for sale in Peoria, AZ, ask your friends, family members or co-workers for recommendations. More than likely they have worked with Marie or know someone that has. Repeat business and referrals are the foundation of her real estate business. Marie works with buyers, sellers, investors, builders and developers throughout the Peoria and Phoenix areas and throughout Maricopa County. 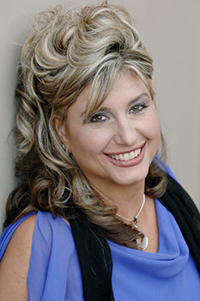 Mare Shafer is a member of the National Association of Realtors and the Arizona Association of Realtors, a Certified Short Sale-Foreclosure Specialist (SFR), a Certified Distressed Property Expert (CPE), and a Master Certified Negotiation Expert (MCNE). Marie is a Certified Global Marketing Agent (GMA). Furthermore she is one of a very few that can list and sell property World-Wide! Marie was the ultimate professional through our entire process. We sold our home quicker than we expected and had a worry-free closing. I would definitely recommend Marie as my Realtor of choice! Thank you! I am writing this letter in regards to my real estate agent, Marie Shafer whom I have worked with for the past 10 years both selling and buying at least 100 properties. She is highly trustworthy, professional, and quick to respond to my calls and emails. She will go out of her way to help out in any way. She is very knowledgeable of the market focuses on the benefit of her clients. I am thankful to have found Marie and will continue to use her services in my future real estate endeavors. Marie Shafer is one of the hardest working realtors I have had the pleasure of working with. I bought a HUD home which she warned me would be a bigger deal than any other type of real estate transactions. She was so right! She knew her income from the sale would not be any more than any other type of sale, but she not let that impact her service. We had a loss of financing but that did not stop Marie. She found alternative financing for me and we closed on time. She was my cheerleader when HUD does what they do best ( be a pain.) I would refer Marie to anyone, anytime for their real estate needs. This letter is to recommend Marie Shafer as your realtor. Marie has a tremendous "grasp" of the market and possesses that intuitive feeling as to what a house is really worth and how well it will sell. Marie's knowledge of new houses is almost unparalleled. Marie is always up to date on the new home market and has that perfect balance of knowledge, drive, and enthusiasm that will get the job done for you. It would be hard to envision someone doing a better than Marie as she possesses all the attributes necessary to be an excellent broker. She is diligent, responsive, and very patient with her clients. Marie is both very professional and personable. She clearly takes pride in doing a good job. Marie Shafer listed and sold my home on 6706 N 14th Place, Phoenix, AZ 85014 in December of 2004. I was not an agent at the time. She was a wonderful agent to work with - very professional and knowledgeable in her field. I selected to use her services as I worked with many agents at that time at Chicago Title and thought she was one of the best in the business. At this time I am now a real estate agent I ask her advice occasionally and she is always eager to help and give her ideas and thoughts to assist her fellow agents in the field. She is kind, thoughtful, detailed, knowledgeable, and helpful person in business. I would recommend her to help anyone in Real Estate. We have used Marie for the rental of our old house and the purchase of the house we currently have. She is great. Best agent I have ever had and the only one I will use since meeting her 5 years ago or so. We were selling our elderly mother's home and Marie was very patient with her. She treated mom very kindly and took time to explain things. Marie priced the home properly and it sold in a few weeks. It was a very good experience. Marie is very knowledgeable and handled all the paperwork for us. I would highly recommend Marie Shafer as a realtor. Marie Shafer is the best! Marie Shafer is the best! We worked with a different company prior to meeting Marie and were unsuccessful. While working with Marie, we were certain the success we had was due to her knowledge of the process. Definitely would recommend her to others. Marie was very good and helpful in finding us the right house. She showed us a lot of houses and as we kept changing what we were looking for in the house and the areas we were looking in. She found us the house that had what we wanted. She helped us through the entire process and made sure everything was fine after we moved in. I would recommend Marie and we will use her again if we ever decide to sell. Work with Marie and receive a FREE Home Warranty or FREE Home Inspection! *Note that Zillow does not have all MLS listings and pending Listings. Many of Marie Shafer's listings also sell under her 29 day fast sale program any never make it to MLS. Learn about the 29 Day Fast Sale! See listings not on the MLS! "Marie Shafer was a very professional and really worked with us to give us the results we hoped for. She was very patient with us. We were in the ... more "
"I would be remiss if I didn’t take the time to put in writing my appreciation for the superior representation we witnessed while selling our home with ... more "
"Marie is an absolutely wonderful agent. She is extremely thorough, honest and goes above and beyond for all her clients. Marie responds quickly to all ... more "
Contact Marie to Find Out More! Great insider tips on buying and selling a home in the Phoenix, AZ area. Just click the image to view our guide. 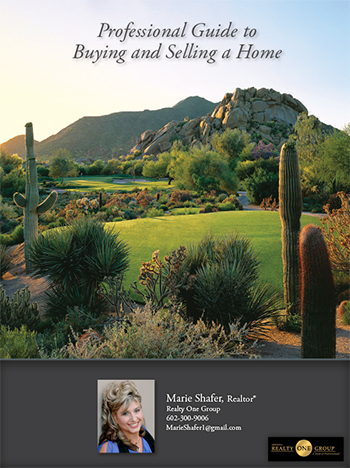 Marie Shafer has a Global Elite Certification. She is one of a very few that can list and sell property World-Wide!